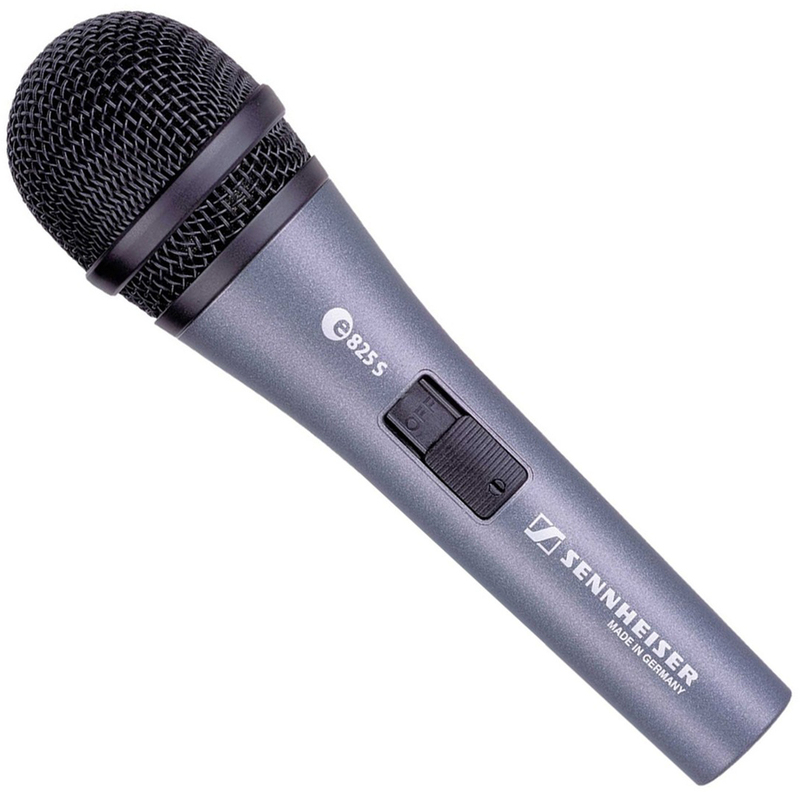 The Sennheiser e825S Dynamic Microphone is perfect for capturing vocals, spoken word performances and percussion instruments within both recording and stage environments. The e825S handheld microphone features a cardioid polar pattern which ensures a smooth tonal responses and rejects both feedback and off-axis noise. Capable of withstanding high sound pressure levels, the Sennheiser e825S projects your sound with presence and exceptional clarity. The 825S dynamic microphone is complete with a rugged metal housing and a convenient, silent on/off switch.